Dave Arbogast Buick GMC Vans RVs and your favorite local coffee house, Boston Stoker, have joined forces to bring you the first ever cafe at the dealership. Customer Service at it’s Finest! We all know the long wait that can come from getting your vehicle serviced. Sure, a few magazines and a small TV can help remedy a long wait. 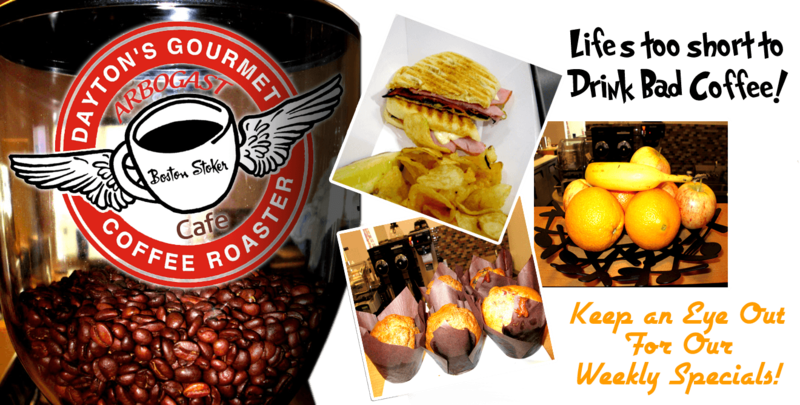 Say hello to the Dave Arbogast Cafe! Thanks to our brand new customer lounge, you can now wait for your vehicle to be serviced in style! Even more, you can do it in comfort as well. 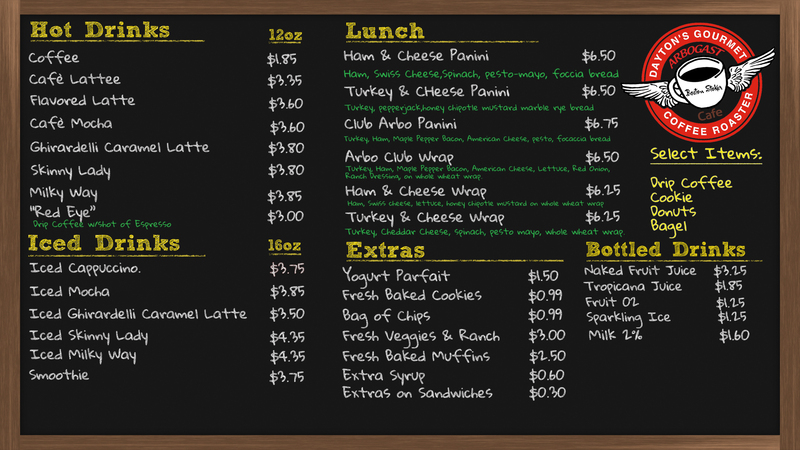 Located in the northeast corner of the our newly renovated main building (next to service), our customers now have the ability to enjoy a great warm beverage and some awesome cafe menu items while they wait. The new cafe also comes with a free Wi-Fi, comfortable seating, a kids playroom and more! Both Boston Stoker and Dave Arbogast Buick GMC Vans RVs have built their reputations on refining customer service to an art form. Our goal is provide customers with an experience which our rivals can’t match and we couldn’t be more thrilled to be doing so in such a creative fashion. Offering everything from Boston Stoker’s signature gourmet coffee to the new Arbogast Cafe’s breakfast and lunch menu made with the freshest ingredients, this partnership is sure to be a win-win for everyone who enters our doors. 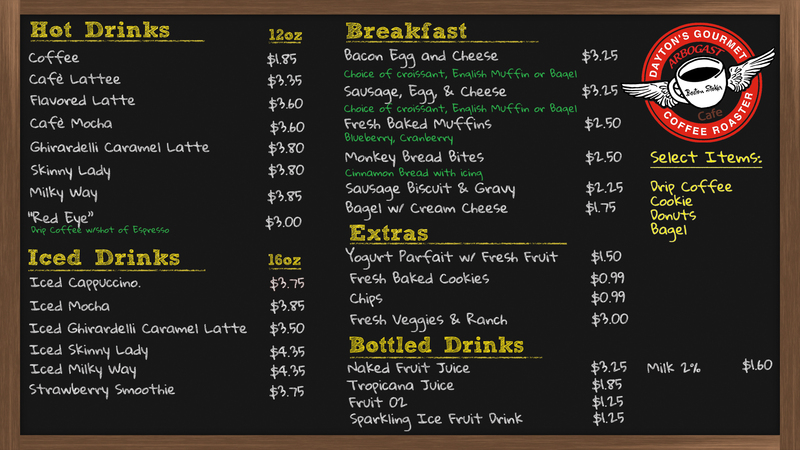 Our new cafe is conveniently located at the corner of 25A and I-75 in our new car building. Upon heading in through the main door, simply head to the right and straight back. You won’t be able to miss it! No Problem! Just call us at 937-440-5833.